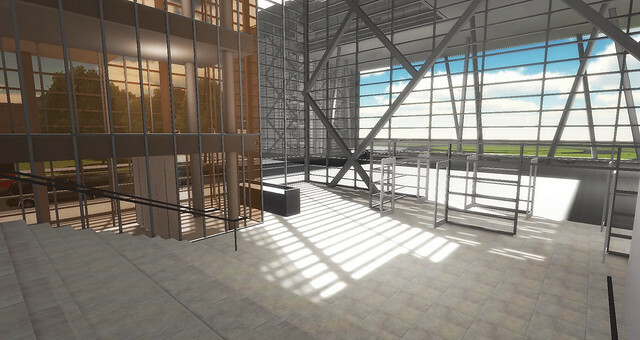 Daden Limited‘s new white paper, ‘Virtual Worlds and the Built Environment’ (download here) provides an insightful overview of several Second Life case studies relating to architecture, engineering and construction industry projects, along with descriptions of what make virtual worlds a useful tool for AEC industry projects. There are a number of key differences here in comparison to more traditional Architecture, Engineering and Construction (AEC) visualisation tools. The environment is rendered in real-time, so although visual quality may not be as high, the environment can be far more dynamic and flexible, and renders instantly rather than needing an over-night render-farm. This is a 2 part video tutorial series, providing an overview of the process involved with importing architectural models into Unity3d. 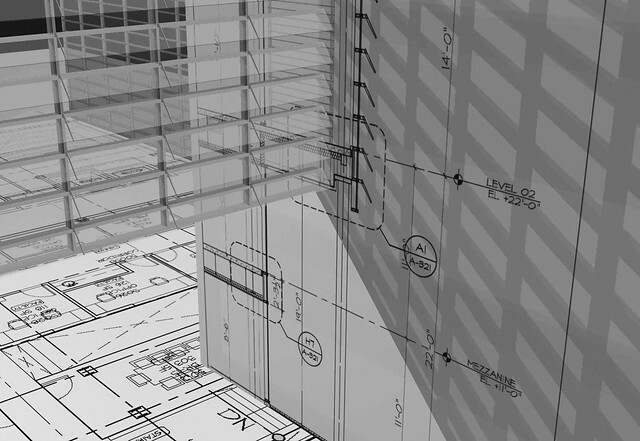 In this case, we’re using Revit Architecture 2009, but the process is relatively universal, and can be applied to just about any architectural CAD or BIM software. After importing your model, try out our Architectural Beginner’s Kit, which enables you to quickly add operable doors, lights, material changers, orbiting cameras and more. If you need some help, or would rather not tackle this on your own, I can also be brought in as a consultant to help with your project. 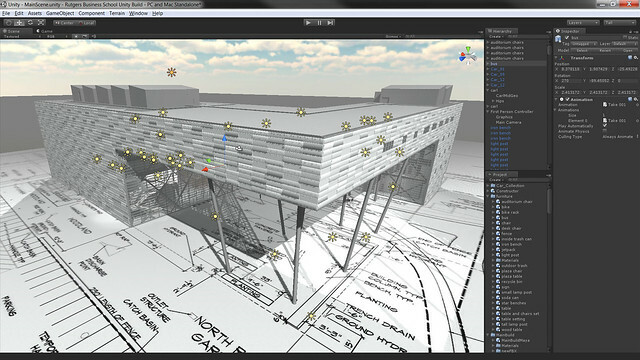 No doubt about it, Unity3D is a game changer for realtime, online architectural visualization. Illustrations, animations and renderings are great, but online realtime 3D is better, and no other platform comes even remotely close to providing the level of flexibility, sophistication and ease of use that Unity offers. Import your Revit model, publish the file to your website, and walk through the design in realtime from within your browser. 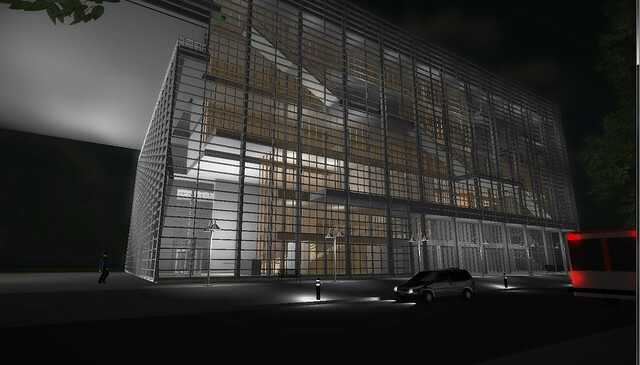 Its a killer app for architectural visualization, and best of all, its free. You can download it HERE and start importing your models right away. But if you’re an architect or designer with limited experience, even the simplest functions like doors, lights and cameras can be time consuming to master. 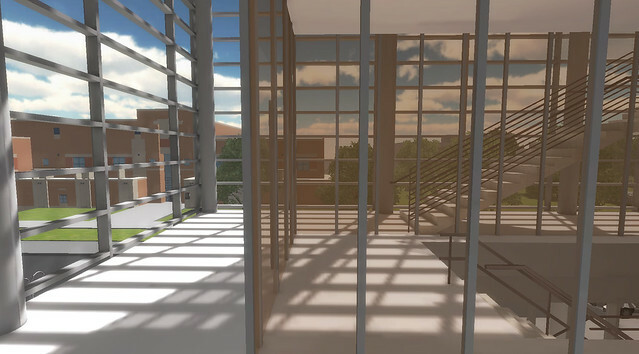 To help speed up your learning curve, we developed an ‘Architectural Beginner’s Kit’ designed specifically for architects and designers getting started with Unity3d. This kit combines detailed tutorial documentation within a Unity package that contains some simple prefab items you can put to use right away. You can drag and drop these items into your scene, but you also read the documentation to understand how they work, and how you might customize them to suit your project’s specific requirements. Check out this preview build, showing off some of the kit’s elements. 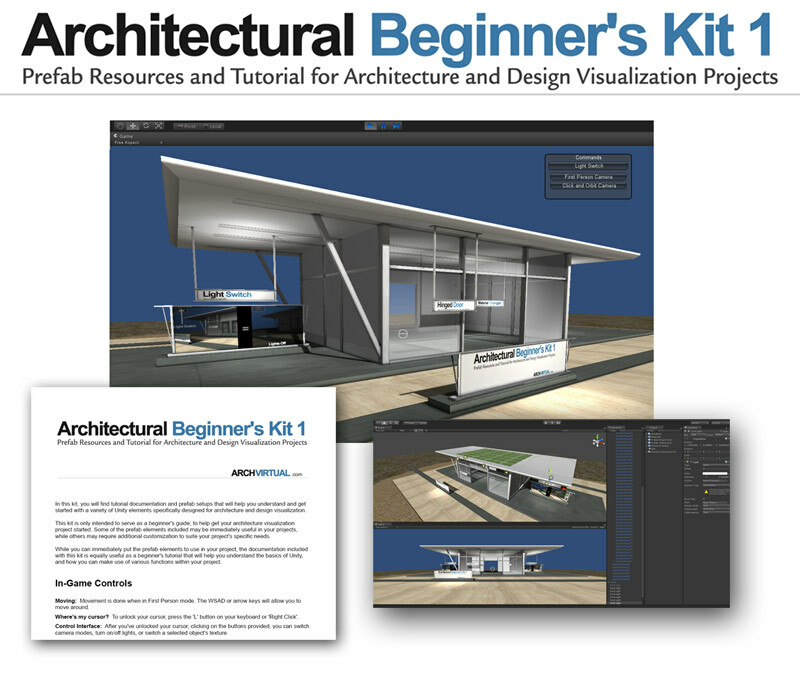 This kit is only intended to serve as a beginner’s guide, to help get your architecture or design visualization project started with some very simple elements. Some of the prefab elements included may be immediately useful in your projects, while others may require additional customization to suite your project’s specific needs. Example Use Case: Turn on or off different lighting scenarios – daytime, nighttime, etc. Select an object, then click on different texture options displayed on the user interface. We’re really excited to make this kit available, and are already started on the next phase – which will include more advanced functionality. If you have any questions, bug reports, or requests for functionality to include in future releases, please email info (at) archvirtual.com Stay tuned! A few weeks ago, I posted a video showing how my Revit model was imported into realxtend by Visibuild. It generated lots of interest and traffic, suggesting to me that model interoperability is an important priority for lots of us. Shortly after posting that my friend Damon Hernandez, always a spirited supporter of X3D, asked if I would send him that same Revit model so he could demonstrate the capabilities of X3D. The closest I had ever come to seeing some of the more current X3D applications in action is while exploring Vivaty or ExitReality, and I was excited to see what he could do with it. 24 hours later, he sent me this video showing that same model in several X3D based environments. What an impressive and entirely convincing demonstration! I had no idea X3D had come so far. This is by no means an exhaustive demonstration of everything X3D can do, and is only intended to serve as an introduction. But what I find most compelling is the fact that this model can retain its metadata, and theoretically retain its BIM data. If we were to develop a fully interactive model of a building, visitors could drill through this metadata, clicking any material or product in the home and discovering specific information about each building component. I’m told it could even be useful as a CAM model, whereby manufacturers could interpret this data and use robots to assemble the home in real life. So, here I have a seemingly limitless range of opportunities at my fingertips, yet this model – even if it were fully textured and polished – would not be useful to me in real-life practice. The design is far from final, and we are still ironing out several key features such as the living room ceiling, the front entry, and the fireplace/hearth. If I’m working with X3D, I have the option of either 1.) waiting until the model is final before sending it to be imported 2.) send several batches of different design ideas and have them all imported 3.) become an X3D geek, and figure out how to import it myself, so I can do so on-the-fly as we develop new ideas. No matter how I approach it, it isn’t useful to me as a schematic design tool – nor is it necessarily intended, or ready to be used that way (yet). So, we really are comparing apples to oranges. It isn’t that one platform is necessarily better than another, but that they each hold value in different phases of the design process. As you could see in the realxtend demo included in my first post, I was able to simply exclude parts of the design weren’t finalized yet, then use the in-world modeling tools to mock up several options to share with our clients. Those elements can be edited in realtime, while the client is present – and we can cycle through lots of different material and color options. 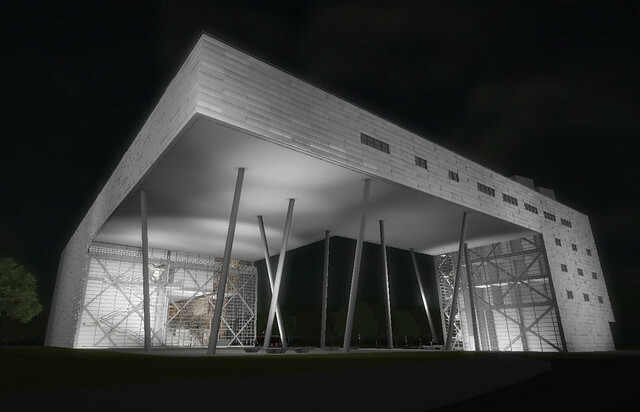 When my model was first imported into Visibuild, it looked exactly like it does on this video – raw and unedited. But the difference is that with Visibuild, I was personally able to log in and continue designing and testing new ideas. Using prims to build really does feel like sketching to me, only better, and within the context of my Revit model that contained room sizes and plan layout that had already been approved. I can also build the entourage myself, exactly the way I want it. I can import 3D Warehouse models if I want, or from any range of stock 3D entourage resources available. The key is that I can easily do it myself, and the learning curve is nowhere as steep as it would be if I wanted to do the same in X3D. That doesn’t take anything away from X3D as an incredibly powerful technology. In fact, it could be that it’s far too powerful for what I primarily use virtual worlds for. As an open standard ‘simulation level’ technology, its actually reaching down to enable multi-user and simple representation of geometry. Its power lies in the ability to eventually attain things like simulation-level physics, and retention of metadata. This is surely the new frontier for architecture and virtual environments. Once we achieve seamless interoperability of geometry, our next major priority will be seamless data interoperability so our ‘smart’ BIM models don’t have to become ‘dumb’ each time they enter or leave a virtual environment. Until then, it seems there might be an opportunity for collaboration here. I know nothing about the core technology at work behind all of this, but I do know that one of these world is currently best for pre-design and design development, and the other is better for final design visualization and post-design. Could they ever meet half way? 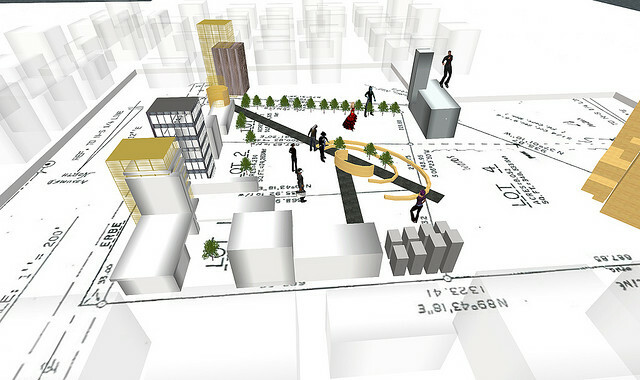 Will X3D eventually include in-world modeling and collaboration tools? Will realxtend models someday become simulation level technology and retain metadata? If geometry and data become fluidly interoperable, will it even matter?